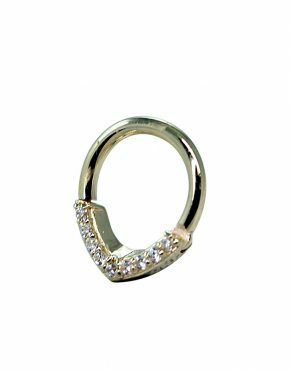 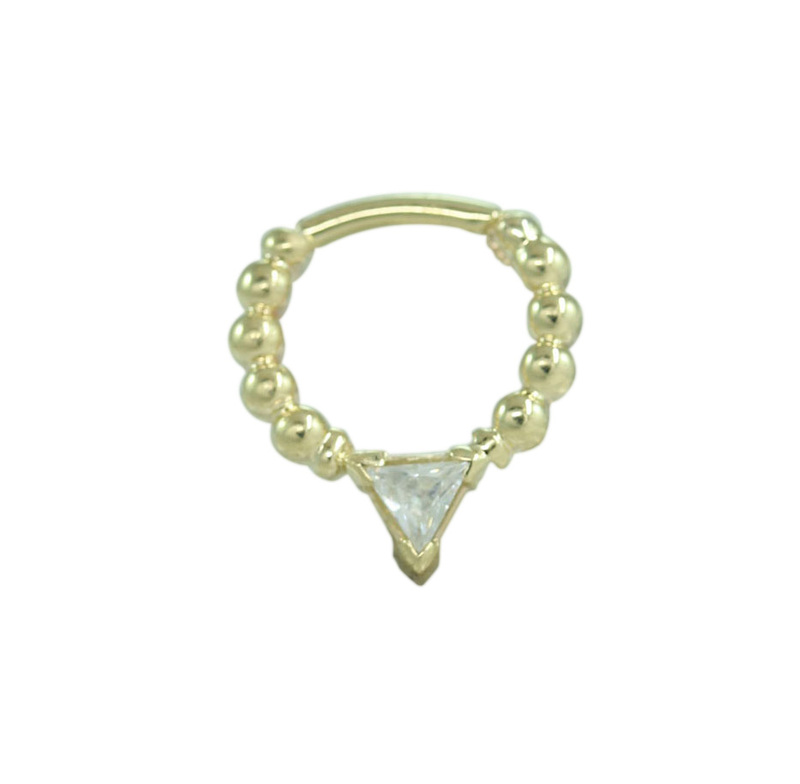 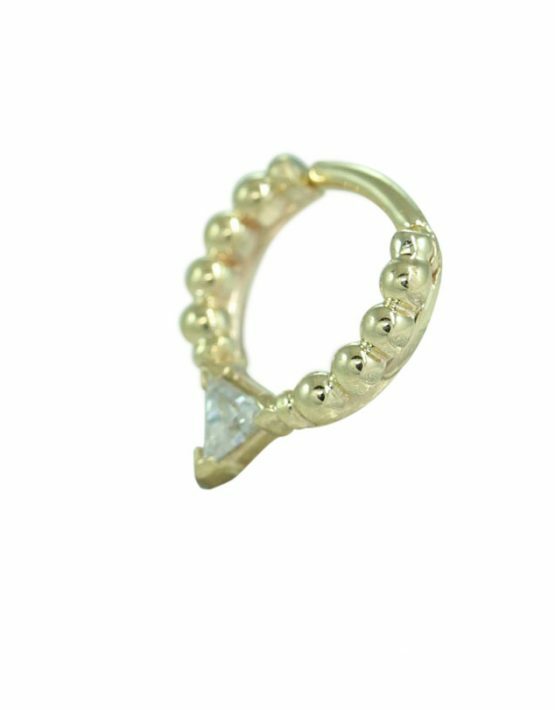 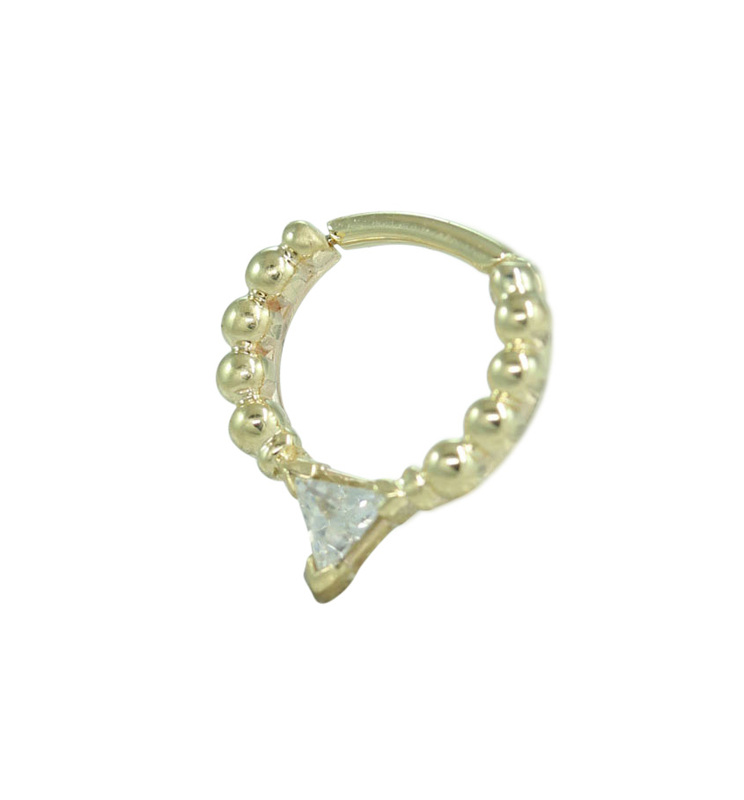 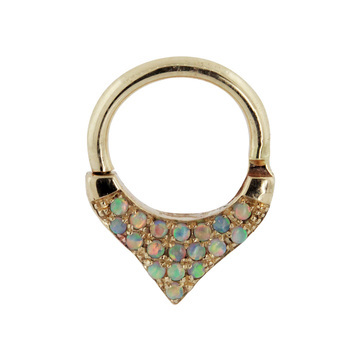 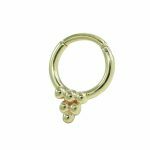 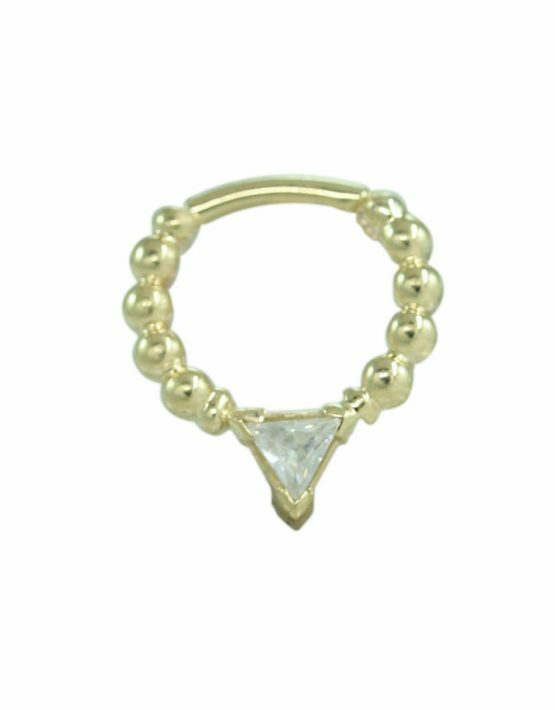 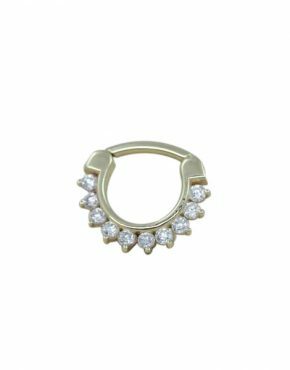 The 14k Gold Beaded Trillion Septum Ring is beautifully designed for your septum. 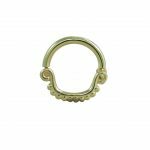 Made with a 16-gauge curved barbell hinge, this ring is easy to put on and take off. 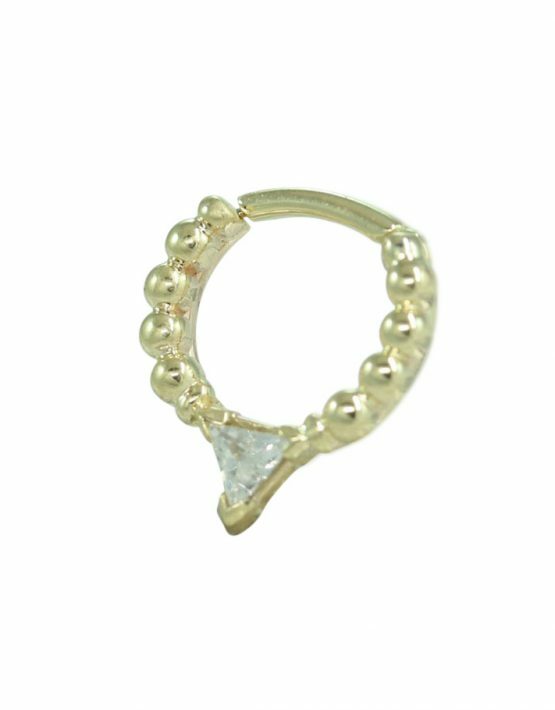 This ring is set with one 3x3mm Trillion gem with accenting CZ’s. 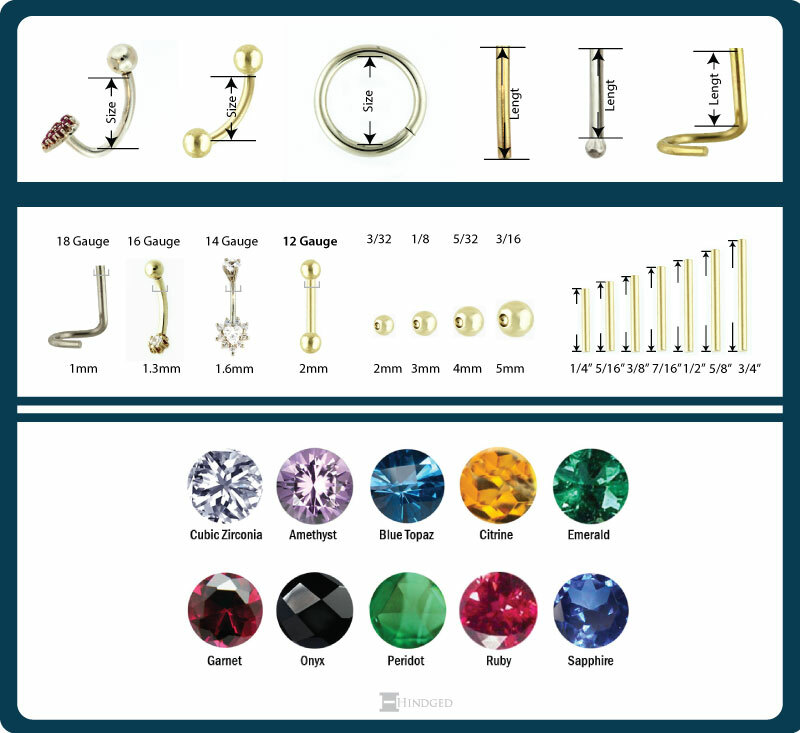 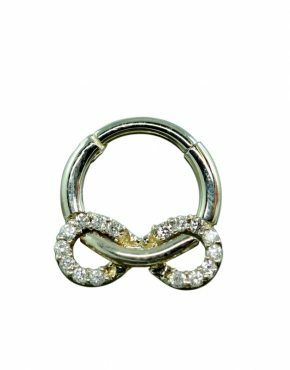 This body jewelry piece has 2mm beads that accent the trillion on both sides.